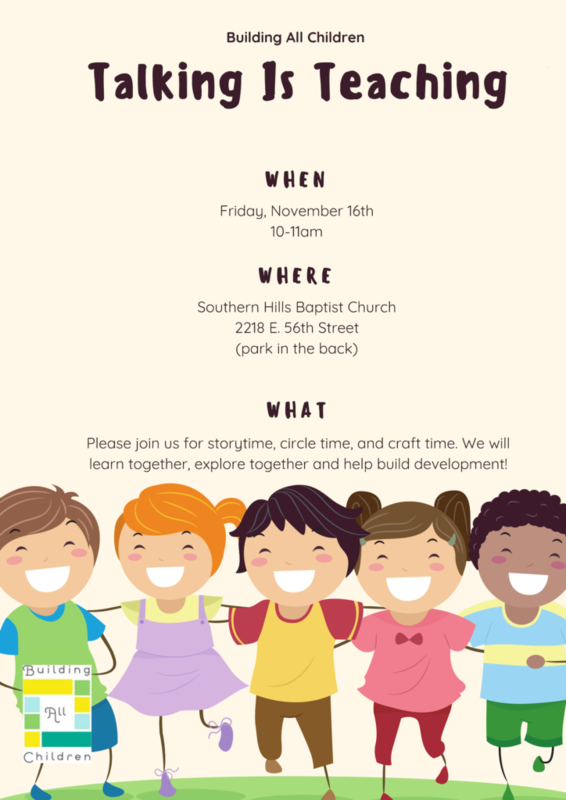 Please join us this Friday, Nov.16th from 10-11am. The children will do an amazing craft, have circle time, and hear a story. They will take a book home and you will hear from Kendra about your child’s development and some ideas for the Holidays! Please don’t miss this opportunity!